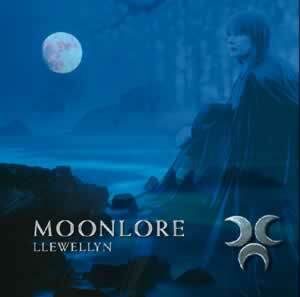 Following on from the spellbinding album "Celtic Legend" Llewellyn takes us on a musical adventure tale into history and reconstructs one of the legendary druidistic games that always took place under cover of darkness upon the full moon adjoining Samhain. It takes the listener away into a wonderful romantic world of Celtic imagery and landscapes. Moonlore combines keyboards with Uilleann pipes, Whistles, Guitars, Piano, Flutes, Skin Drums and atmospheric effects. Also again features Tori Donvan on Celtic recorders and the beautiful voice of Juliana. This is a celebration of the feminine and the Triple Goddess and includes specially composed 'working' Moonlore tracks.